There’s nothing more frustrating than a clunky workflow or IDE when coding. It can take years to optimize your workflow to code quickly and effectively. One of the most important parts of that workflow is your text editor. If you’re a Vim or Neovim user, it feels like there is unlimited room for optimization. 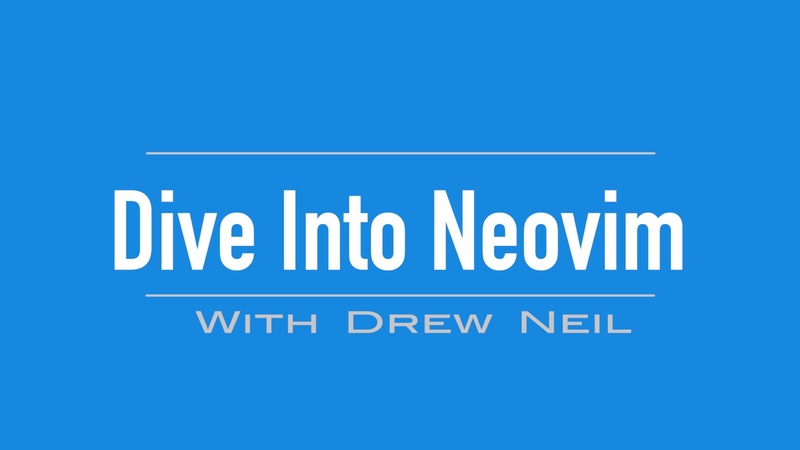 Drew Neil from Vimcasts is here to show you how to get the most out of Neovim & Vim 8. In our latest Upcase course, Dive into Neovim & Vim 8, Drew will take you on a tour to install, setup, and take advantage of the new features that Neovim and Vim 8 give you. Neovim & Vim 8 give you even more power than previous Vim versions, and this trail will get you comfortable with all of them. Soon you’ll be able to send commands from your Vim buffer to the terminal for execution, see a live preview of how the substitute command will change your file, easily manage plugins with native Vim functionality, as well as run a terminal emulator inside a buffer and use it alongside regular buffers in your workflow. Whether you are a current Vim user looking to pump up your workflow, or you are looking for a new editor and want to know why Vim is so powerful, this trail is for you. For Upcase subscribers, the course is available today. All visitors can watch the first three videos for free.